The PTSA would like to welcome all families, students and our fabulous LW staff to the 2018-19 school year! We are looking forward to a great year of learning, connecting and building a supportive and engaged community. Please read this newsletter and check out our website (lwhsptsa.org) to know what's happening at LW! We look forward to meeting you at the Welcome Back Picnic on Wednesday, Aug 29, from 5-7pm in the LW Commons, or at Curriculum Night on Sept. 26, where special topic sessions begin at 6pm and classroom visits at 7pm. Incoming Freshmen and other students new to LWHS are encouraged to attend this New Student Orientation. Parents, this is event is intended only for students. If you have questions or want to connect with other parents, please come back that same evening for our family-friendly Welcome Back Picnic. We would love to meet you then! Our PTSA leadership and LWHS administrators team up to welcome Kang families back to our school community. Stop by and enjoy a free dinner while you catch up with old friends or meet some new. Take a tour of the school with student guides who will share their perspectives about life at LW. Principal Thomas and our 3 new associate principals will be on hand to meet & greet you. Our dinner fare will be updated from previous years to provide much more variety and healthier options, including vegan and gluten free. All LW students and families are welcome! All you need to know to participate in LWHS sports is posted online, with access to the new online registration process. A $200 participation fee, current $50 ASB card and any outstanding fines must be paid before participation. Fees and fines can be paid online or at the ASB cashier's window. Each sport also has a specific form which must be submitted. Have you been searching the LW website for a school supply list and been unable to find one? That's because there isn't one. Mystery solved! Your students will get their supply lists from each of their teachers during the first week of school. 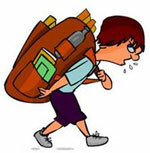 Remember there are no lockers at LWHS, and it's safest to keep backpack weight no more than 10-15% of bodyweight. Here is more info on why paying attention to backpack weight is important. Buy your backpack IN PERSON so that you can make sure it fits properly. Avoid large binders/composition books when possible. Small plastic binders/folders or accordion files are great alternatives. Water bottle- keep it small and lightweight and refill it during the day. Looking for more info or tips on backpack safety? Check here to learn more. 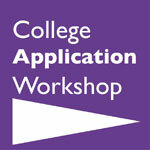 PTSA's award-winning College Application Workshop provides our seniors with college application essay and personal statement support. We also answer questions about the college process and steer students in the right direction for any additional support they may need. This is a great way to connect with students and learn updates about the college admission process! Volunteers are needed for the 2018-19 school year as we continue this successful program. Workshops meet Wednesdays during ROO, 9:25-10:05am and after school at 12:55pm. We ask for a once-a-week commitment from September through January. Training is being held on August 28 at 10:00am in Kirkland. View more details or contact Judy Shedd to volunteer. Please join our LWHS PTSA! Thank you so much, parents and staff, for your continued support of the Lake Washington High School PTSA. 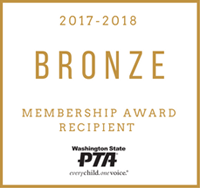 Your membership truly makes a difference in the lives of our students and all kids throughout our state thanks to the extraordinary work of the Washington State PTA which advocates every day for our kids. 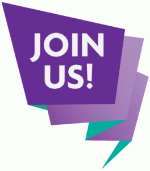 Make your voice heard by joining the largest child advocacy organization in our state, the WA State PTA. 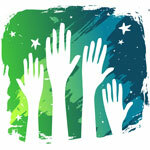 Get to vote on key decisions that guide our PTSA, including budget, programs, grants and officer elections. If you have any questions, please reach out to Karen Tipp and Dan Olson. 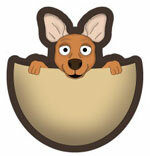 Volunteers for PHOTO DAY receive a FREE photo package - what a great perk! No experience necessary! You can read about the job duties for each these online, or feel free to contact our VPs of Communications with any specific questions and they will get you in touch with the right person. The Kang Crier newsletter is the primary communication method that LWHS PTSA uses to provide information to LWHS families. Unfortunately, the district does not update distribution lists until late October, so the families that need this news the most are missing out. Could you do us a solid and pass along the information to any incoming families that they can subscribe by visiting our PTSA website at lwhsptsa.org or forward them this email so they can click and subscribe? Thank you! You can find all issues of the Kang Crier newsletter along with the distribution schedule, submission instructions and a form for sending in your own articles on the Kang Crier page of the LWHS PTSA website. 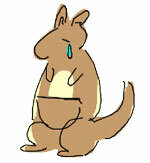 Perhaps you are ready to move on from all of this amazing news because you no longer have a Kang in your house. You can unsubscribe from this newsletter by scrolling down to the very bottom and click the "SafeUnsubscribe" link.